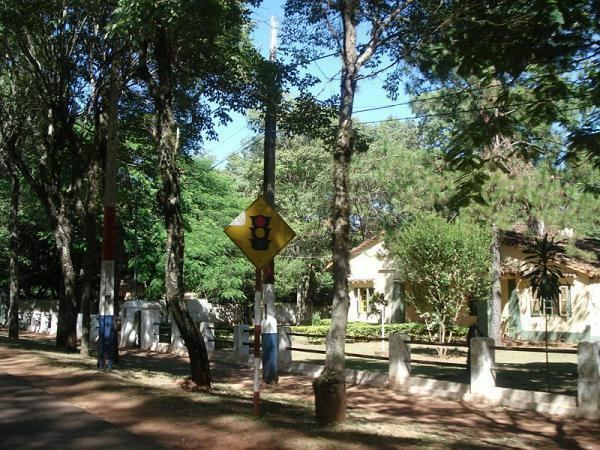 San Juan Bautista, capital of the Department of Misiones, Paraguay, is considered the cradle of the religious mission culture. The city is the seat of the Roman Catholic Diocese of San Juan Bautista de las Misiones. 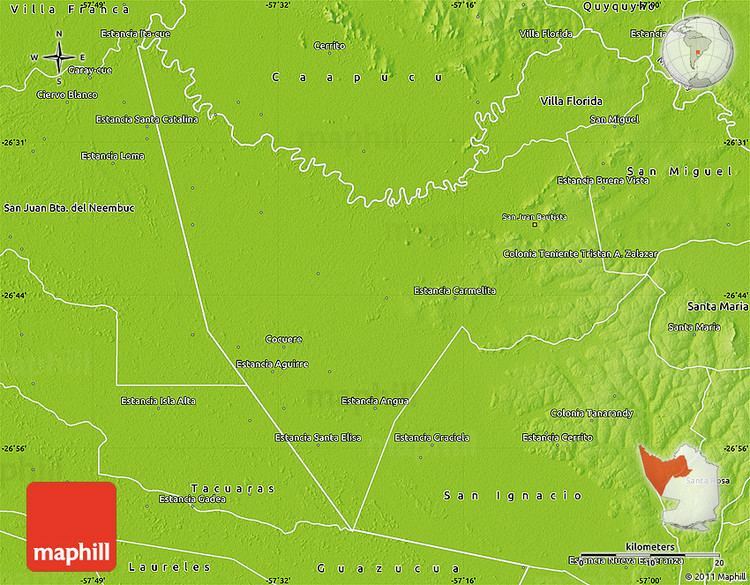 San Juan Bautista Misiones is located 196 kilometers south of Asunción. One can travel to the city by following the Route 1st “Mcal. Francisco Solano López”. In summer, the maximum temperature is 39 degrees Celsius. The minimum temperature in winter is zero degrees Celsius. The annual average is 21 degrees Celsius. With a total area of 2,300 square kilometers, San Juan Bautista has a population of 18,441 inhabitants, 9,281 male and 9,161 female, according to projections of the General Office of Statistics, Surveys and Censuses. 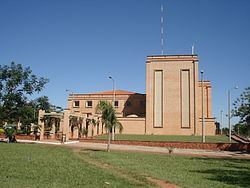 The city is the third most populated one in Misiones, after San Ignacio and Ayolas. This city was established during the government of Carlos Antonio López, declared a small town in 1893, and in 1945 was made the capital of the department. San Juan Bautista is an agricultural and livestock area. It produces soy, wheat, cotton, rice and corn. livestock is also important there. Te Guaraní- natural products for health life style. Distribuidora Pilar -Wholesale Company of household cleaning Staff. Important educational institutions,como el colegio diocesano misionero government institutions, the bishopric, and health centers are located in the city. The church is a Jesuit style relic. There are springs and streams in the city. At Lilly’s Island, in San Cristobal, a diversity of these flowers may be seen. During the holidays honoring the city's patron saint, Saint John the Baptist, processions, riding on horseback, colt taming, and bullfights are held. Some typical foods eaten then are batiburrillo, asado a la estaca and caburé. In January, the party of Siriki is celebrated. The house of Mangoré, today a museum and a cultural center, is frequented by tourists. Beyond San Juan Bautista, an unpaved road goes to Santa María. Another road also goes to Route 4th and to Pilar in Ñeembucú. Agustín Pío Barrios (Mangoré) was born in San Juan Misiones. He was a famous Paraguayan guitarist. The current governor is Victor H. Pereira.